Ndlulamithi Game Lodge is an exclusive getaway for those who value privacy, personalised service and have an appreciation for Africa’s fauna, flora, and magnificent landscapes. The lodge is privately owned by Nedbank and nestled in the malaria-free Welgevonden Game Reserve in the Limpopo province, three hours drive from Johannesburg. Aptly meaning ‘well found’, Welgevonden Game Reserve is a place of rare and rugged beauty and plentiful wildlife and birdlife. 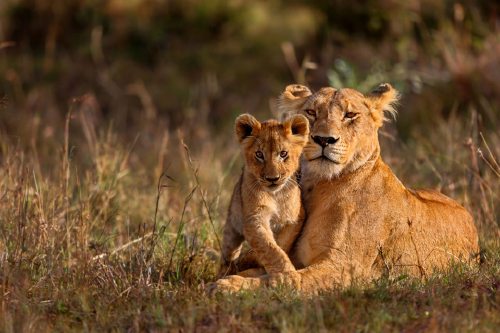 It is one of the largest privately-owned reserves in South Africa, covering 40 000 hectares and is home to over 50 different mammals, including the big five – (elephant, lion, leopard, buffalo and rhino) and over 300 bird species. The main lodge comprises a well-stocked bar and wine cellar, a cosy lounge and dining area with a fireplace, all leading onto the elevated patio from where you can enjoy the endless views and unforgettable African sunsets. A plunge pool offers wonderful reprieve from the heat of the African summers. 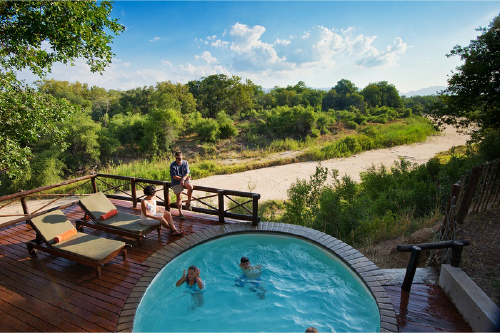 Ndlulamithi Game Lodge is certainly one of the finest places to unwind and rejuvenate. In addition, we are offering a double pair of hospitality tickets to the Nedbank Golf Challenge, one of the highlights of the South African sporting calendar, taking place from 14 to 17 November 2019. You will enjoy a luxurious stay at The Palace of the Lost City, Sun City’s flagship 5-star hotel. Your hospitality tickets will allow you entrance into the Gary Player golf course, access to the air-conditioned marquee, big-screen viewing, as well as post-play entertainment. You will also receive an invitation to the Beach Party held at the Valley of the Waves after the opening round, giving you the opportunity to join the players and a host of celebrities at this spectacular event. Paul Cluver Seven Flags Pinot noir 2015. All 8 guests to arrive together – only one collect per day at the gates and no private vehicles are allowed in the reserve. Arrival time is strictly 14:30. The cost of all meals and drinks is included. Guest names and dietary requirements to be confirmed by 1 September 2019 and cannot be changed/ transferred thereafter. There is no cell phone reception at the lodge. Accommodation is for 2 x double rooms sharing and includes breakfast and dinner at The Palace and lunch and refreshments at the hospitality Marquee. To secure your tickets for the Beach Party on 14 November, you need to be staying at The Palace on Thursday night. Lot excludes travel to and from Sun City. 1. Ndlulamithi Private Game Lodge at Welgevonden Game Reserve. An all-inclusive two-night stay for eight people at Ndlulamithi Game Lodge, Welgevonden, in October 2019. Arrive Friday, 4 October (14:30) and depart Sunday, 6 October (10:30). Lot includes economy return flights from anywhere in South Africa to Johannesburg, and luxury transport to and from Johannesburg to Welgevonden Game Reserve. Accommodation in cosy, glass-fronted chalets, complete with your own deck and spectacular views of the bushveld beyond. Scrumptious meals complemented by a well-stocked bar and wine cellar either on the main deck with endless views of the valley or in the boma under a canopy of stars. 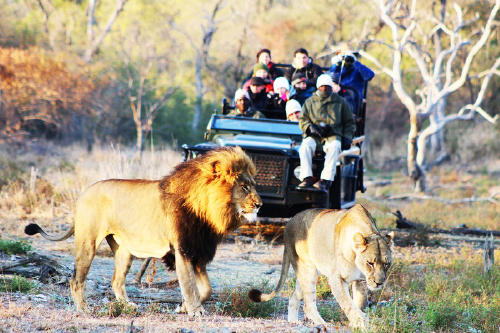 Three game drives in search of the over 50 different mammals – including the big five – and over 300 bird species, with bush breaks to enjoy refreshments. 2. Experience the Nedbank Golf Challenge at Sun City. 4 entry tickets (two couples) into the Nedbank Golf Challenge over two days with overnight accommodation (2 x double rooms sharing) at the Palace. Entry into Nedbank’s air-conditioned hospitality marquee over the two days. Marquee provides lunch and refreshments throughout the day, big-screen viewing, as well as post-play entertainment. 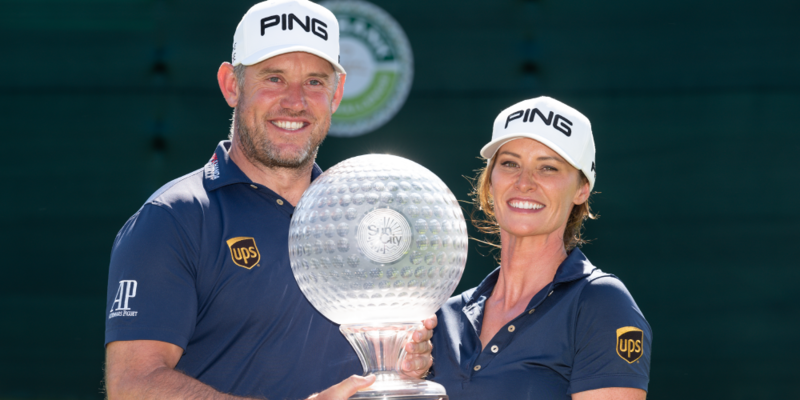 If staying at the Palace on Thursday night, the lot includes an invitation to the Beach Party held at the Valley of the Waves after the opening round, giving you the opportunity to join the players and a host of celebrities at this spectacular event. 3. A selection of Paul Cluver wines.